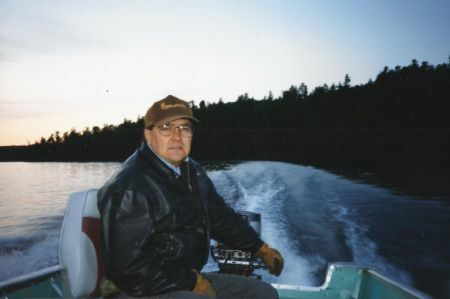 I am sharing this letter I wrote about the sudden passing of Wolf Lake Algonquin’s Chief, Harry St. Denis, below. A great Algonquin Anishinabe Chief has died. Harry St. Denis talked the talk and walked the walk and he stood strong and straight, like a great oak tree. Chief St. Denis will not be easily replaced. I only met Harry about a year ago (had heard of him for many years previous) but even in that short while I got to know him as a friend and ally. The chief and I talked one day about the fact that a big majority of people living in the unceded lands of the Algonquin Anishinabeg are not aware that Algonquin bands like Wolf Lake even exist. We asked ourselves, how do we turn that around? The conclusion, “make some noise.” The Algonquin people north of Kitigan Zibi have no choice but to take actions, however drastic, to let folks (especially politicians) living in the southern edges of their territory know that enough is enough. They must come to Ottawa, to fill its streets with people who will stand in solidarity with them. The human rights of Algonquins in the north are being abused. Their precious voices are being ignored. The time for action has arrived! Chief St. Denis was not an Indian Act chief and he did not go about his duties to his community in the manner of a chief who has been politically whipped into towing the line of a federal political body. He was brave, intelligent and bowed to no man. What I liked best about Harry is that he believed in the right to freedom of religious expression. Reviving the original spiritual beliefs of his ancestral lands was something he supported. Akikodjiwan and what will become of it was something he was prepared to look into and then stand in solidarity with the camp holding principles more in line with his beliefs. Harry St. Denis was in support of returning the islands around Chaudière Falls as a place of peace and sacredness. I want the Algonquins of Wolf Lake to know that they can count on me to help them “make noise” in Ottawa so that all people will know that they (Wolf Lake Algonquins) exist. Let me know how I can be of help. Note: Here is a collection of statements and media gathered to honour St. Denis. This entry was posted in Community and tagged Akikodjiwan, Algonquin, Anishinabe, Chaudière Falls, Chief Harry St. Denis, Indigenous, unceded, Wolf Lake. Bookmark the permalink.